The Dutch National Opera will be presenting the somewhat controversial and provocative production of Mozart's Don Giovanni that was created for the 2008 Salzburger Festspiele. 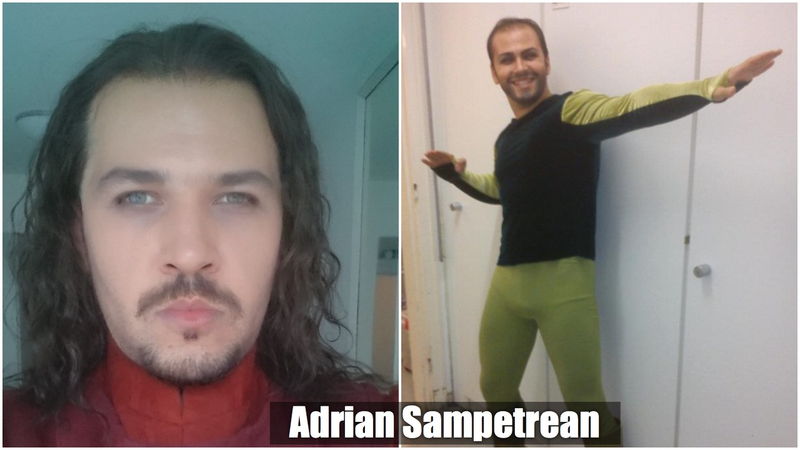 That production featured the barihunk trio of Christopher Maltman as Don Giovanni, Erwin Schrott as Leporello and Alex Esposito as Masetto. Maltman and Schrott returned to Salzburg for two revivals with Adam Plachetka and Stefan Kocan as Masetto. Stefan Kocanas Masetto in 2010. The Dutch National Opera has brought Christopher Maltman back in the title role, with Adrian Sâmpetrean as Leporello, Iurii Samoilov as Masetto and Mika Kares as the Commendatore. 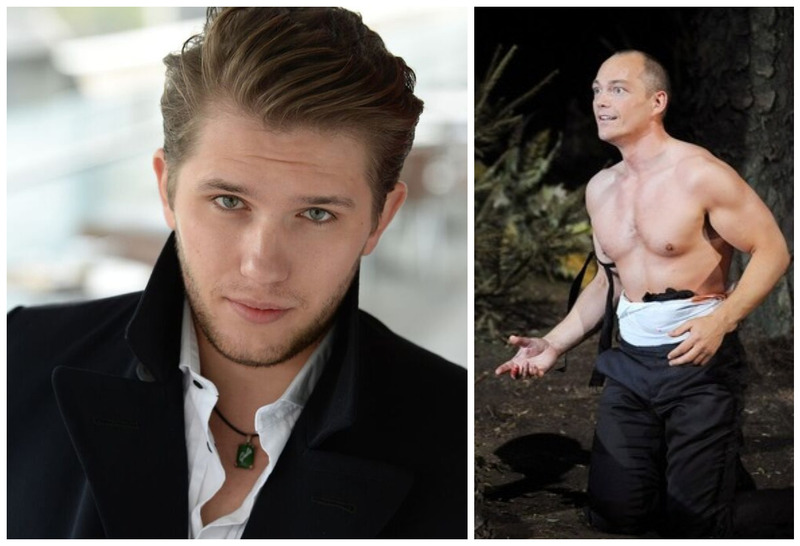 This production will no doubt be a veritable feast for barihunk lovers. The modern-dress production features a dying and sympathetic Don Giovanni and a lovable, drug addicted Leporello, whose physical attributes are freely shown off by the director. In the opera's first scene, the Commendatore manages to shoot Don Giovanni in the abdomen before expiring. Don Giovanni spends much of the remainder for the evening trying not to die of his wound, first in desperation and eventually with wry resignation. We've not featured the Finnish bass Mika Kares before, who was an ensemble member at the Baden State Opera from 2005-2010. Active off the stage, as well, he founded a children’s songwriting competition, serves as the Artistic Director of a Rauma Chamber Music Festival and the Eurajoki Bel Canto Festival. He also runs his own blog. Christopher Maltman is returning to the Dutch National Opera where he had a successful and highly-acclaimed run as Rodrigo in Verdi’s Don Carlo in 2012. He'll be singing Don Giovanni again in the Fall at the Staatsoper Unter den Linden in Berlin. In between Dons, he'll be at Covent Garden as the Count di Luna in Verdi's Il Trovatore. He returns to the Metropolitan Opera later this year in both Mozart's Die Zauberflöte and Puccini's Manon Lescaut. Iurii Samoilov, who appears in this year's Barihunk calendar, returns to his home base at the Oper Frankfurt, where he'll appear in Berg's Wozzeck and Mozart's Le nozze di Figaro. 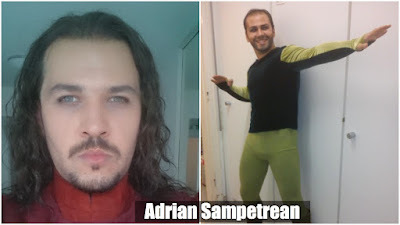 Adrian Sâmpetrean can next be seen at the Staatsoper Unter den Linden as Ferrando in Verdi's Il trovatore. He makes his U.S. stage debut in October as Raimondo in Donizetti's Lucia di Lammermoor at the Lyric Opera of Chicago. Performances of Don Giovanni run from May 7-28 and tickets and additional cast information is available online.